Product Consists : Love Lip Soft Toy (Approx Size : 6.5 Inch), 5 pcs of Lip Shape Homemade Chocolate along with Royle Choco fillied with Peanuts and wafers chocolate (Weight : 90 gms). Any moment is perfect for a love Kiss. 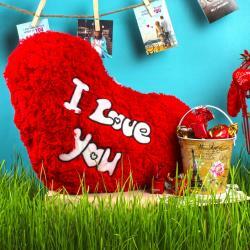 But Valentine week Kiss day is very special for each and every lover. 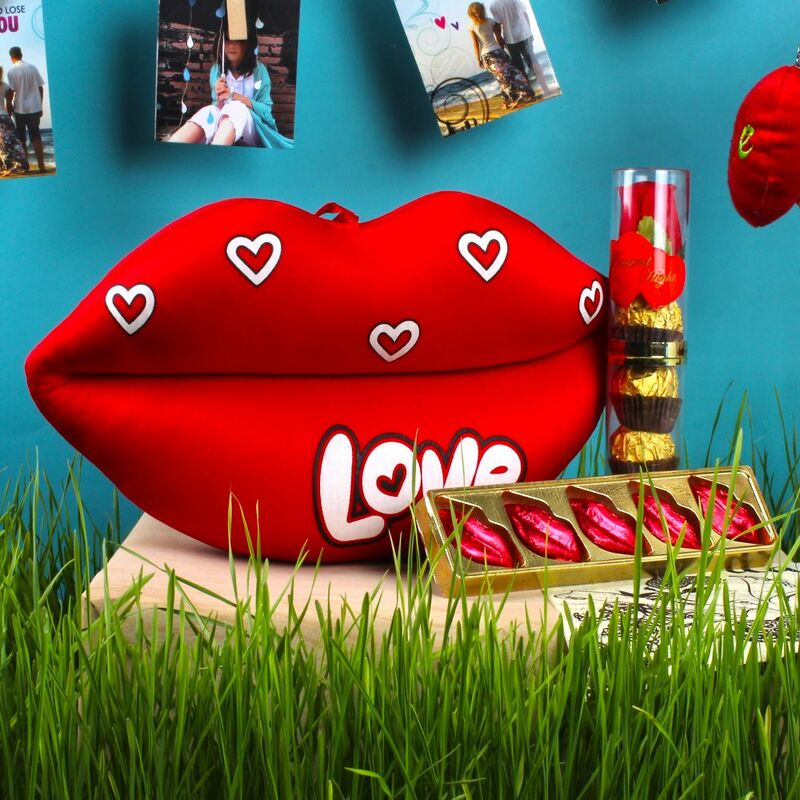 Send your sweet kisses with Love Lip Soft Toy and lip shape chocolates to your loved ones. 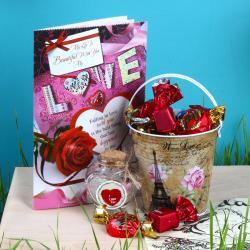 This hamper also includes Royale Choco filled with Peanuts and wafers chocolate box with exclusive red rose packaging to give yummy chocolaty treat. 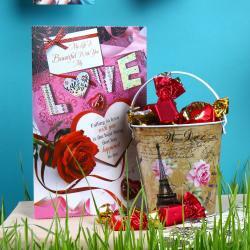 If your love one is chocolate lover then definitely they appreciates this gift. Your love partner is very much excited when they received gift. 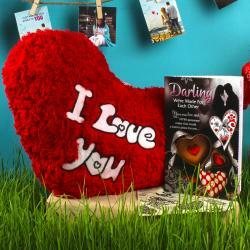 So, book your order now and make the romance blossomed again. Product Includes: Love Lip Soft Toy (Approx Size : 6.5 Inch), 5 pcs of Lip Shape Homemade Chocolate along with Royale Choco fillied with Peanuts and wafers chocolate (Weight : 90 gms).